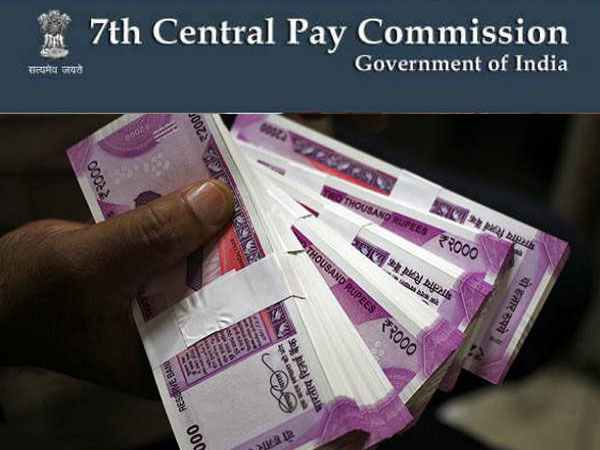 At least 26 lakh employees, teachers and pensioners are set to get their arrears under the 7th Pay Commission. This is a welcome development that has been reported from Uttar Pradesh even as the Central Government employees await a pay hike beyond the recommendations of the pay panel. The UP government took the decision to pay the arrears for 26 lakh government employees, teachers and pensioners. The arrears would be paid in two instalments as per the decision taken by Chief Minister of Uttar Pradesh Yogi Adityanath. According to the order, the first instalment of the arrears up to 50 per cent would be paid on June 30. The UP government is yet to pay the arrears for the period between January 2016 and December 2016. As per the order the first instalment of 50 per cent arrears will be paid by June 30 2018. The remaining amount would be paid in the financial year 2018-19. Recently the Madhya Pradesh government announced that it would double the pension amount. The cabinet also gave its nod to double the monthly honorarium of anganwadi workers. The decisions come months ahead of the state Assembly elections that are due by the end of the year. "The state cabinet chaired by Chief Minister Shivraj Singh Chouhan approved the proposal to provide the benefits of the 7th Pay Commission to the pensioners (including retired government employees and those getting family pension)," public relations minister Narottam Mishra said. "Effectively, pension would go up by 2.57 times. This would put an additional burden of Rs 850 crore on the state exchequer. This would benefit 4.39 pensioners in the state," he said. The pensioners would get the benefit with retrospective effect starting from January 1, 2016. Mishra said that the state cabinet also gave its nod to the proposal to double the monthly honorarium of anganwadi workers to Rs 10,000 from the present Rs 5,000. These developments are a welcome signal for the CG employees who have been waiting for good news on pay hike regarding the 7th Pay Commission. The government continues to hold deliberations in this regard and is likely to increase the basic minimum pay and fitment factor soon.